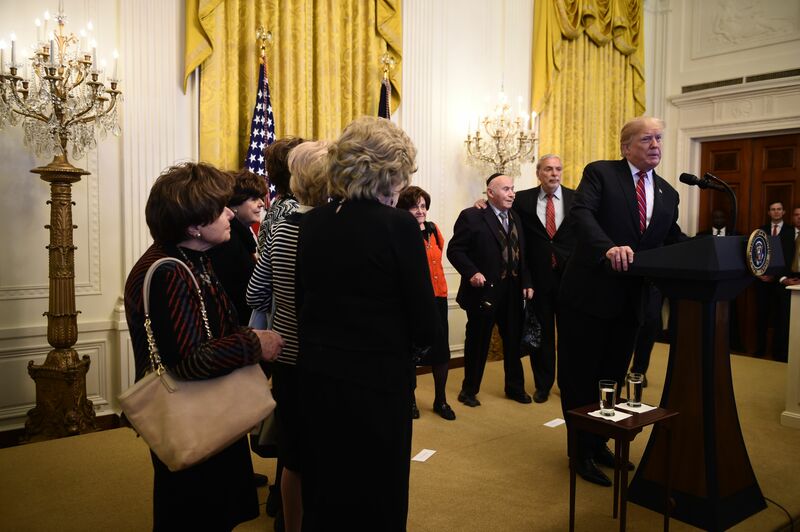 President Donald Trump brought up the eight Holocaust survivors in attendance at the White House Hanukkah ceremony to honor them on Thursday evening. “We are joined for today’s ceremony by those who suffered through history’s darkest hour. Here with us this afternoon are eight survivors of the Nazi Holocaust,” the president said. Trump began by listing the names of the survivors, pausing only briefly to invite them to join him. “Come up here folks, come on up. Can we help them up?” he asked. The White House’s Hanukkah party took place on the evening of the fifth night of Hanukkah. The Jewish holiday, which began on Sunday, lasts for eight days and will end next Sunday.